Hanuman, the son of Pavana and Anjana, was born a monkey and yet attained a prminent place among the Hindu Gods, by his sterling character. 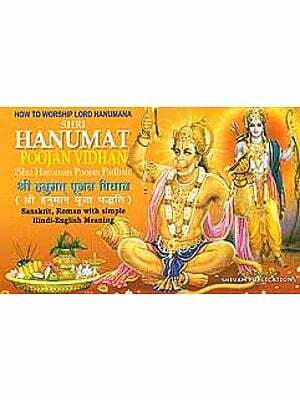 Hanuman's unflinching devotion to Rama has made him the greatest of the Bhaktas (Devotees) ever known. His singular worship of Rama did not make him narrow minded, or supercilious. Instead it made him more compassionate. 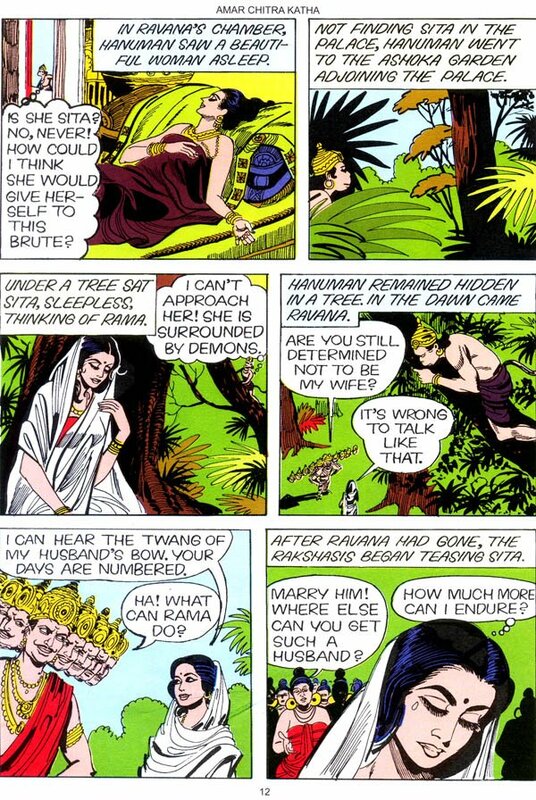 It helped him to bring consolation to Sita, pining away, forlorn and lonely in Ravana's Ashoka garden. It helped him to submit himself years later to the buoyant valour of Rama's children, Luv and Kush. Serious but never solemn, Hanuman twitted his half-brother Bhima who was out on the quest for the flower 'Kalyanasaugandhika.' This is one of the most charming and popular episodes in the Mahabharata.